Camelot Castle is found a short distance east of the Seers' Village. It's not exactly a city, but it's a large castle where two quests take place. 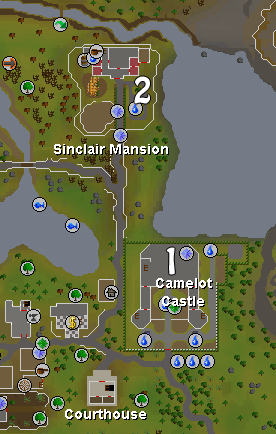 To get there, you can either walk or use you Camelot Teleport spell if you're at least level 45 Magic. 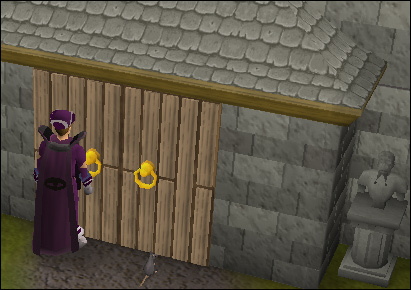 You can enter Camelot Castle through the gate in the front, which is the most common entrance into the courtyard. On the ground floor of Camelot Castle, you will only find two useful things. Firstly, there are two fountains on each side of the entrance, and there is one to the north of the gate for filling vials. Inside, you'll find King Arthur, who you can talk to in order to start the Merlin's Crystal Quest. 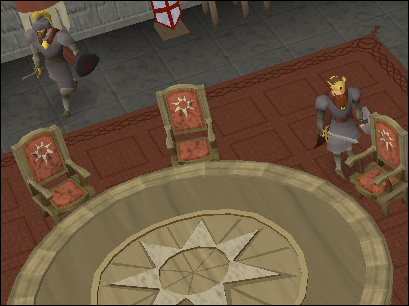 On the walls are all sorts of decorations, like shields and swords, and you'll even find the Round Table here. 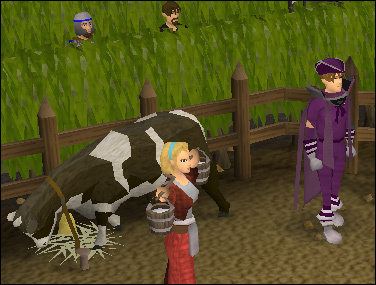 There are other Knights walking around here, but none of them say anything particularly important. On the first floor of Camelot Castle, you'll find three important things. 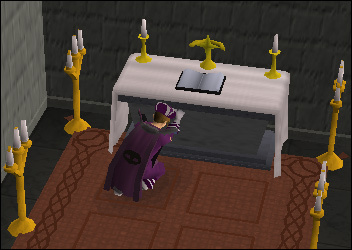 The first is the Prayer Altar, where you'll be able to recharge your Prayer. 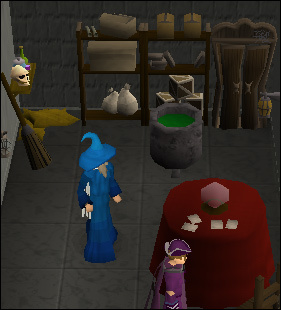 Merlin's room is also up here, which you can access after you've completed the Merlin's Crystal Quest. There's also the Grand Feast Hall where (apparently) there are lots of big feasts, although there is nothing up here beside some Knights to speak to. 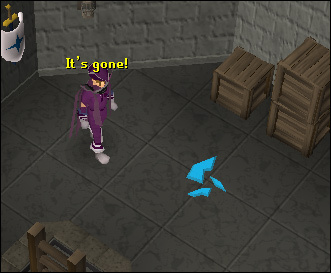 On the the second floor of Camelot Castle, you will find the Crystal that you must release Merlin from. 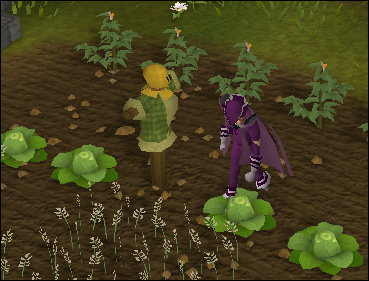 To the southwest of the mansion is a garden where you can pick Cabbage and Wheat. South of that is a Cow Pen, with a regular cow which can be killed for hides, and a Dairy Cow which you can get milk from.